In this case, both foo and bar are of type Long. Then, someone tells you that you want to switch for a side project to VBA and as far as you read somewhere that VBA is quite similar to VB .Net you agree. And you start declaring variables the same way. Thus, one day you realize that you have declared all of your variables as Variants and this is one of the many reasons why your code acts somehow strangely. 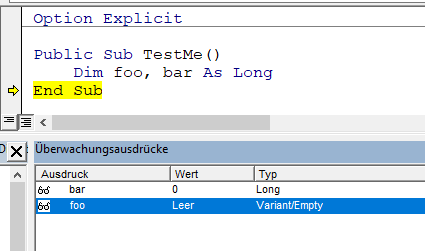 Yup, in VBA as you may see on the right picture below, the foo variable is declared as a Variant and only the bar variable is of type Long. Quite ironic. 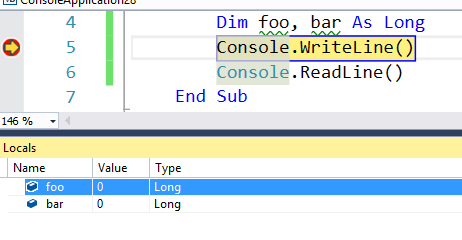 As a next step, you read that you should be declaring like Dim foo as Long, bar as Long and you simply decide to stop reading and to quit working with VBA, because it is a funny scripting language* (I am citing a specific guy here). At this point any developer, who does not have VBA as a first language would be given a reason to hate it even more, and probably bring VBA to the second place of the most hated languages. Who knows? Take home message – stay calm, code in VBA & do not use type declaration suffixes. 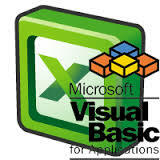 ‹ VBA – Attributes. The high-end in VBA.